Rep. Rashida Tlaib (R-MI) was elected to the House of Representatives by America’s most embarrassing and pitiful city, Detroit. The city that resembles a post-apocalyptic wasteland put America’s most bigoted, anti-Semitic Congresswoman into office. How apropos! 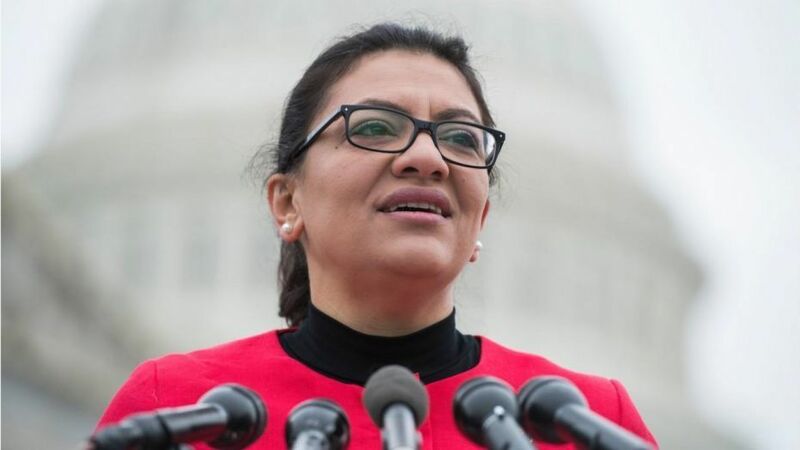 “Tlaib, part of a heralded freshman class of House Democrats, has already come under scrutiny over her positions on Israel and ties to fringe figures. But TheDCNF’s investigation uncovered additional ties to anti-Semitism. Tlaib is a product of the resistance, a leftist movement that openly hates traditional American values and pines to sabotage the MAGA agenda of President Trump. She is joined by fellow freshman Rep. Ilhan Omar (R-MN), another Islamic extremist who has called for leniency toward members of ISIS. ‘The best deterrent to fanaticism is a system of compassion,’ Omar wrote in 2016 after Minnesota-born Guled Omar was found guilty of conspiring to travel to Syria to aid the enemies of America. “We must alter our attitude and approach; if we truly want to effect change, we should refocus our efforts on inclusion and rehabilitation,” she added. Trump altered the attitude and approach of US policy from that of his predecessor, and ISIS is now completely obliterated as a result. If Omar had her way, ISIS would still be on the march and defectors would not be punished. Ladies and Gentlemen of America – this is your future if you do not rally behind President Trump! This was originally posted by The Schpiel.